Adjustable fit for slim to super-sized. 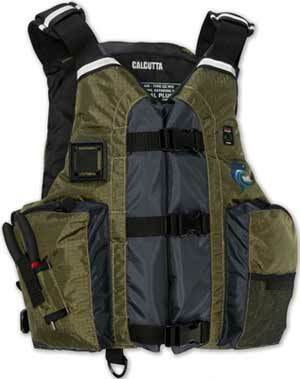 This life jacket has cool open sides and adjustable front buckles that can be loosened for quick ventilation. Rod holder, two big cargo pockets with inner organizers, and an outer open-access pocket. D-rings, lash tab, and pin-on retractor pad for attaching accessories.